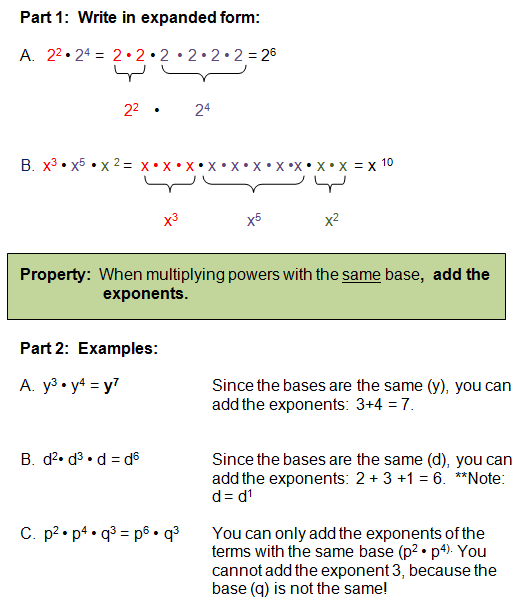 Before you begin working with monomials and polynomials, you will need to understand the laws of exponents. There are three laws or properties that I am going to discuss in this lesson. For each of the three laws, we will write a few examples in expanded form. This will help you to understand why the law works. The I will define the property. Finally we will look at a few examples. 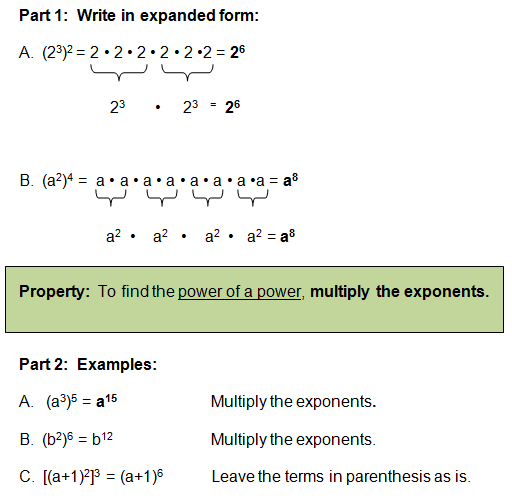 When a term does not contain an exponent, it is assumed to be 1. I know that these properties can be confusing. 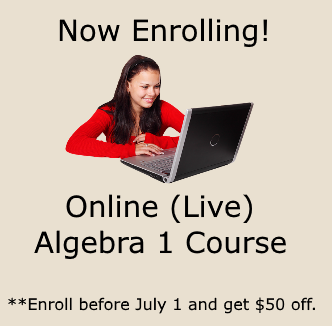 If you need direct video instruction, check out the Algebra Class E-course. Those are the only three properties that you'll need to remember for this unit! 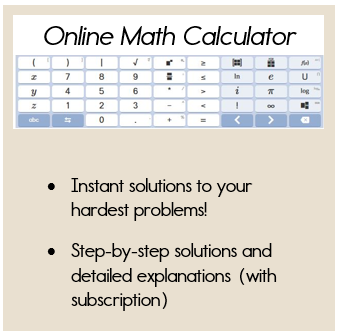 As you complete the practice problems below, refer back to the properties if needed! Directions: For each problem identify the property used. Then simplify to lowest terms. Great Job! Now let's move onto learning about monomials!